All of our canvas products are designed and handmade here in Altamonte Springs, Florida. 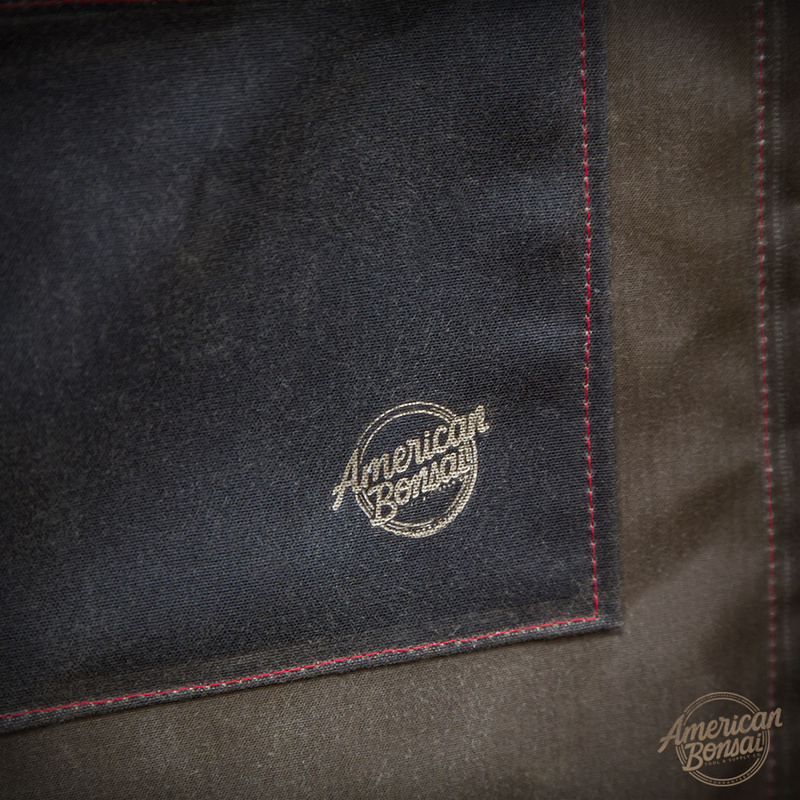 The quality materials used for these tool rolls are 100% American Made. The products are made from durable 10oz. water resistant, waxed canvas. The genuine leather straps are sewn into the canvas to tie the roll, keeping it tidy and tight. The edges of the rolls are bound with a marine-grade binding (to finish off the perfect tool roll) for aesthetic and functionality purposes. Not only does the Dark Oak Waxed Canvas and marine-grade binding look beautiful, it repels, dirt, stains, and moisture protecting your tools from any elements thrown its way. The tool rolls are available in four different sizes. S7 Tool Roll (6 Slots): The shortest tool roll is designed for the smaller, Series 7 tools. Standard Issue Tool Roll (6 Slots): Made and designed to hold 6 different Standard Issue sized AB bonsai tools. Custom filled rolls are now available. S11 Tool Roll (5 Slots): Larger in size than the 6-Piece roll, specifically made to hold all five Series 11 tools we currently offer. SI Tool Roll (13 Slots): Our biggest tool roll in the line up has 13 slots, being able to fit a variety of Series 7 & Standard Issue tools. This is the best option to hold a lot of tools with various sizes. No belt loops! The top of the Tool Pouch inserts quickly and securely into your waistline, immediately ready for use. Our 8.25-oz waxed canvas Apron gives you and your clothes protection while conveniently and safely holds your tools and supplies while working around your garden or nursery. The durable waxed canvas, repels dirt, stains, and moisture. The Apron is adjustable to any height. The pockets in the apron are double-walled with canvas protecting the user from the sharp edges and tips of bonsai tools. The apron's height is easily adjusted with the pull of the straps. Head on over to AmericanBonsai.com for more information on the different Tool Rolls and Tool Sets, aprons, and tool pouches. If none of these tool roll sizes fit your needs, we can manufacture custom fitted tool rolls. Contact us and we will do our best to make the perfect tool roll for your tools.